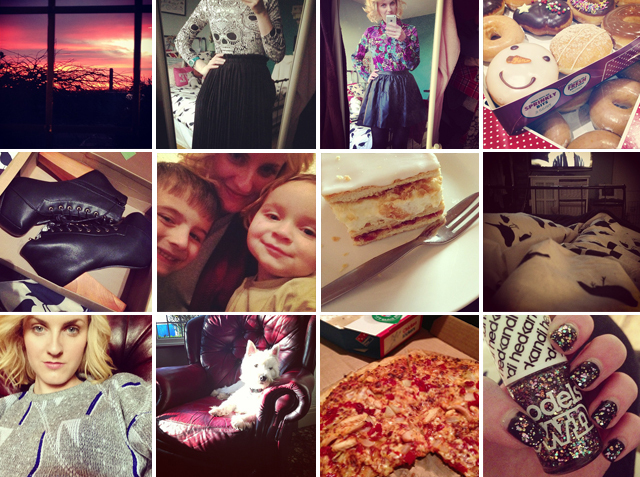 Red sky at night | Skulls and pleats c/o shelikes.com | Floral shirt and leather skirt | Krispy Kremes at work | Beautiful new boots from Boohoo | Spent the weekend with my two little nephews | Naughty bit of cake | Bedtime | New favourite jumper from the charity shop | Toby basking in the sun | Domino’s! | Black sparkly nails. "GHD STYLE + PROTECT GIFT SET"